Why do I even need a monitor arm? The short answer is that if your monitor is positioned too high or too low, it's the fast road to neck strain. You might be able to get away without a monitor arm on your fixed-height desk, (especially if your monitor has an adjustable-height post), but standing desks are a whole new ball game. Because our spines bend at the bottom when we're seated, we stretch out when we stand, making the relative distance between the keyboard and the appropriate monitor height (to avoid neck strain) greater. Working without a monitor that's positioned too low while standing can cause users to slouch over, cascading into neck, shoulder and back pain, and a host of other problems in the long run. This is why monitor arms are essential for standing desk users. 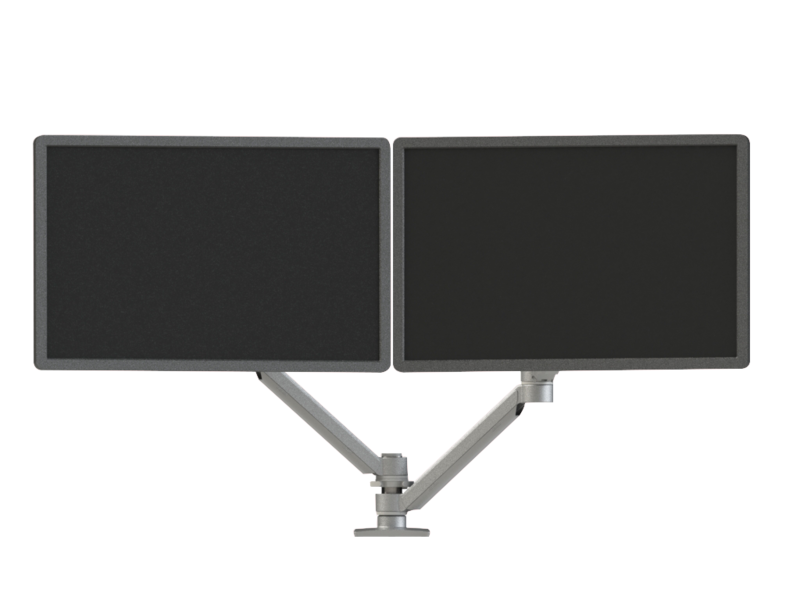 While other companies are using research from the era of fixed-height desks to design monitor arms (or even worse, not considering standing desks at all), iMovR understands that our new active workplaces require specific monitor mounting solutions. And we don’t neglect taller users, for whom many monitor arms are too short to be of use. We understand that under-desk keyboard trays require an even taller arm. 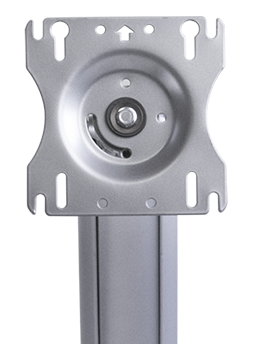 And we understand that standing desk converters need a more lightweight solution and a shorter post, since the converter itself typically adds 6" of height to the desk surface where the monitor arm will mount. Most importantly, we know that quality counts, which is why we back up every arm we sell with an industry-leading 15 year warranty and 100-day satisfaction guarantee. 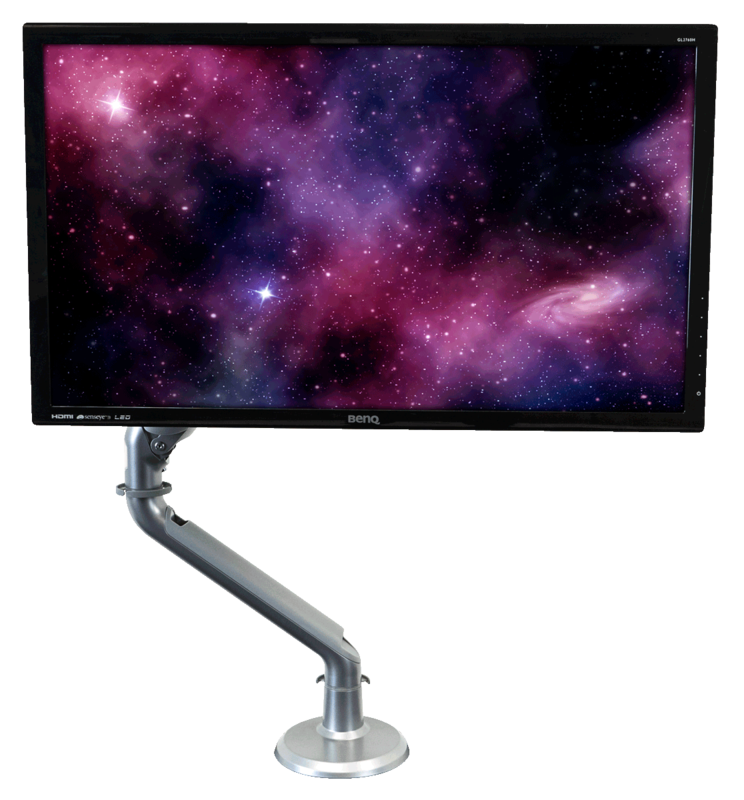 All iMovR monitor arms are either made in the USA (Concerto and Xtend) or in Taiwan (Tempo) to the highest quality componentry and machining standards. And all our arms are available in black, silver and white color schemes to perfectly match your office decor. Which monitor arm is going to be the best for me? First and foremost, if you’re using a ZipLift (or any other Z-lift or X-lift style standing desk converter), you’ll want to use either our Tempo line or our Xtend line, which features shorter posts. If you’re using a full standing desk, the choice is a bit more nuanced. We’d recommend users over 6’4 opt for the taller Concerto arms (currently unavailable). Users under 6’4” have a choice between Tempo and Concerto, based on the small style and functionality differences outlined below. 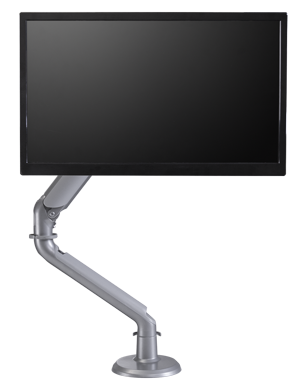 All Users Under 6' 4"
Monitor arms hold up their loads using either a spring or gas lift mechanism. Neither is strictly superior to the other—they each have their advantages. Springs have the longest lifetime while gas cylinders to provide smoother response to movement. (This doesn’t mean that the gas cylinders we use in the Temp arms are less reliable—they’re backed by our 15-year warranty for a reason). Gas cylinders are also silent, but the amount of noise generated by a spring is so miniscule that it’s unlikely to be a deciding factor. The decision often comes down to cost, with spring-based counterbalances being more economical. See our full article on Gas vs. Spring Lift Mechanisms. 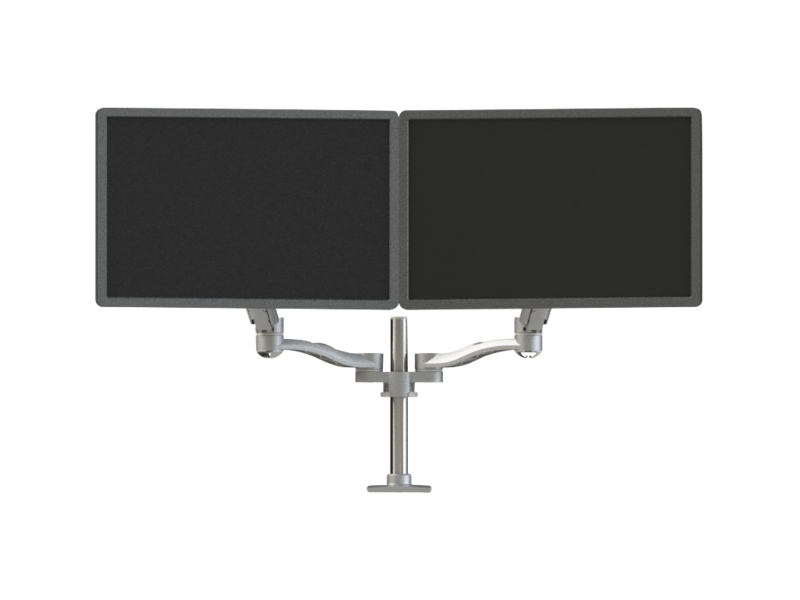 If you’re trying to mount two monitors, you may be wondering whether it’s worth considering two single screen monitor arms as opposed to a single dual-screen monitor arm. 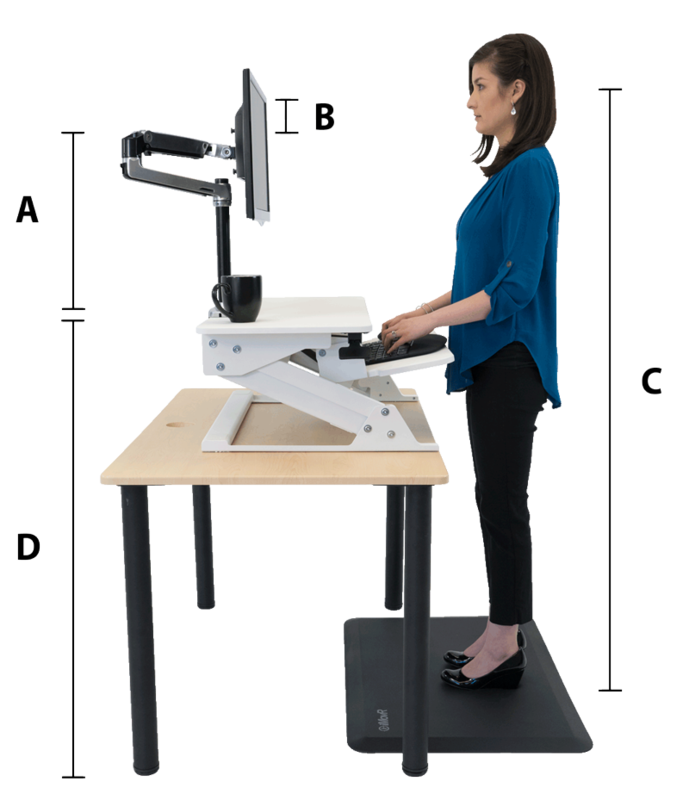 First and foremost, if you’re using a standing desk converter, using two single arms adds more weight, which may make the work surface heavier to lift and too heavy along the back edge. For full standing desk users, the option of two single arms is an attractive one. You get to have superior stability (a single arm will always be more stable than a dual) and you get the ability to position them however you want on your desk. Dual arms provide similar functionality at a slightly lower cost, but they tend to be offer slightly inferior stability (though not enough that you should experience monitor shaking while typing). 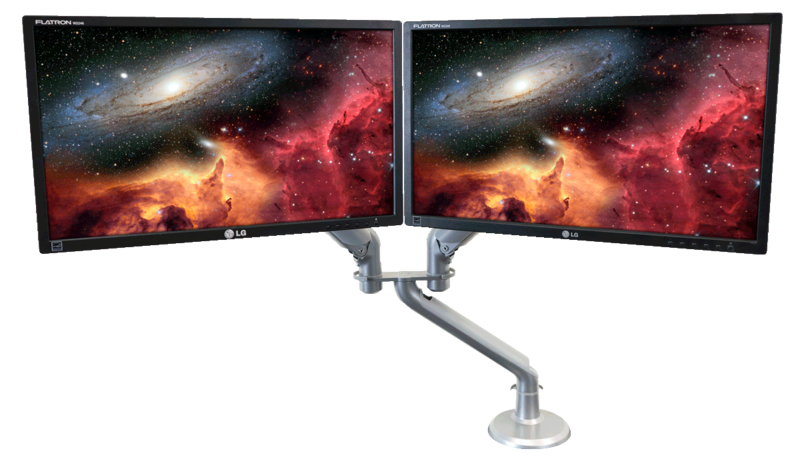 Dual arms also make the process of repositioning monitors easier, since you may be able to move both monitors at once. 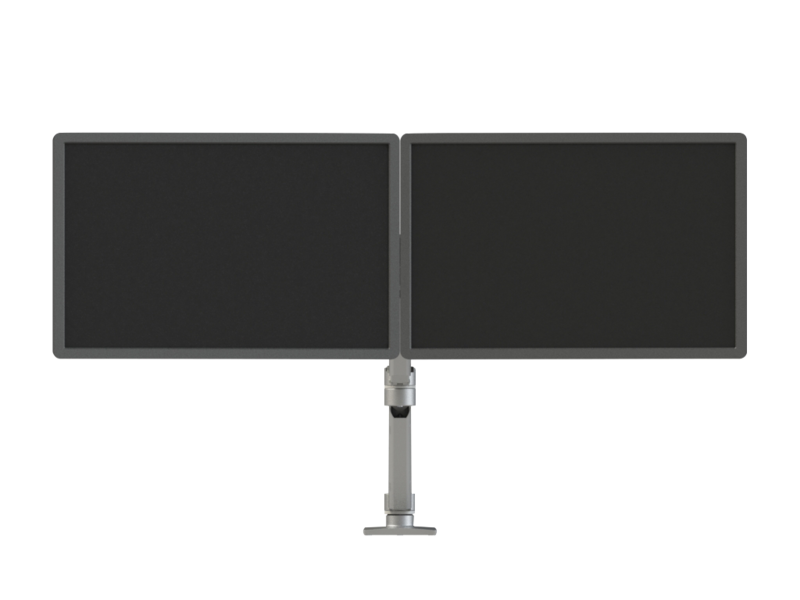 The final advantage of the dual monitor arm is that it will look less cluttered than two single arms. Note that if you desk sits against a wall you may find two single arms more versatile in repositioning your monitors where you want them without having as much maneuvering room behind them. All iMovR monitor arms support both edge clamp and grommet mounting—but which method should you choose? 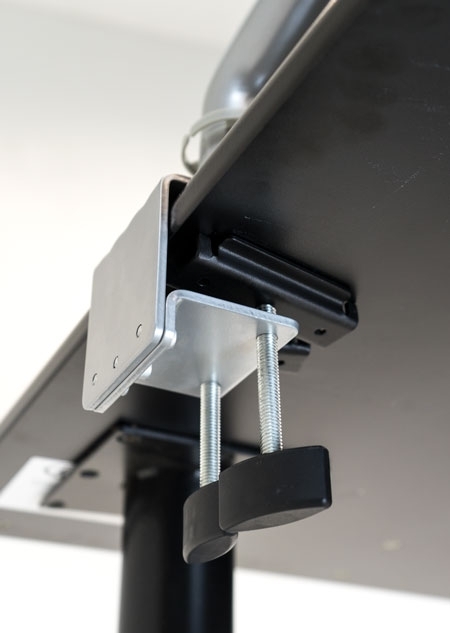 Grommet mounting allows you to mount the arm through the grommet hole in your desk top, while edge clamp-mounting is simply attaching the monitor arm to any edge of the desk (most commonly the back edge). 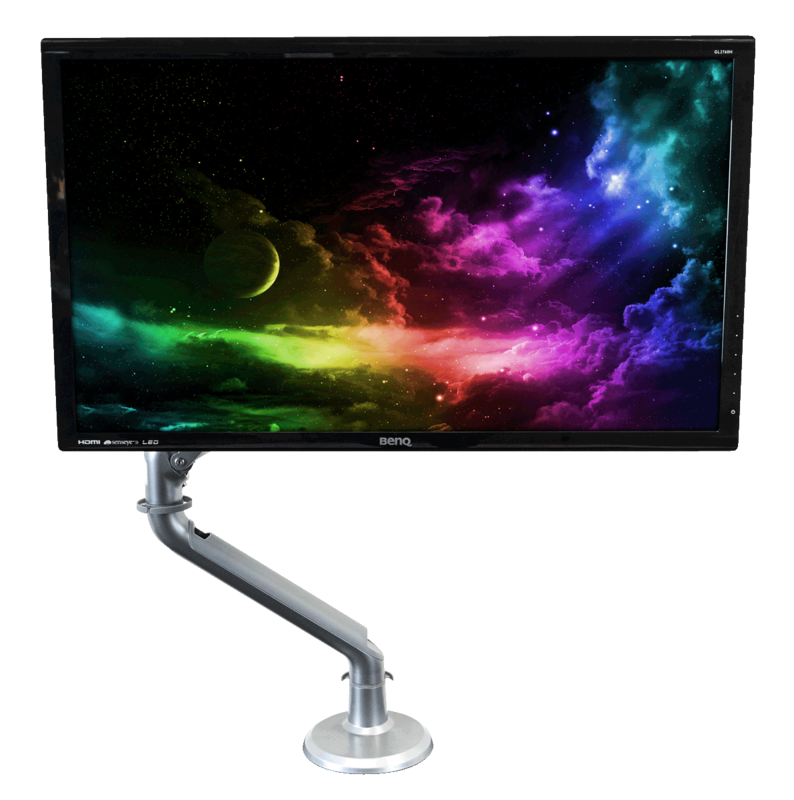 In general, we recommend clamp mounting—the stability is the same with the two methods, but mounting the arms to the back lets you retain a little bit more distance between your eyes and the monitor (it should be about arm’s length away). Over 95% of users choose edge clamping over grommet mounting. 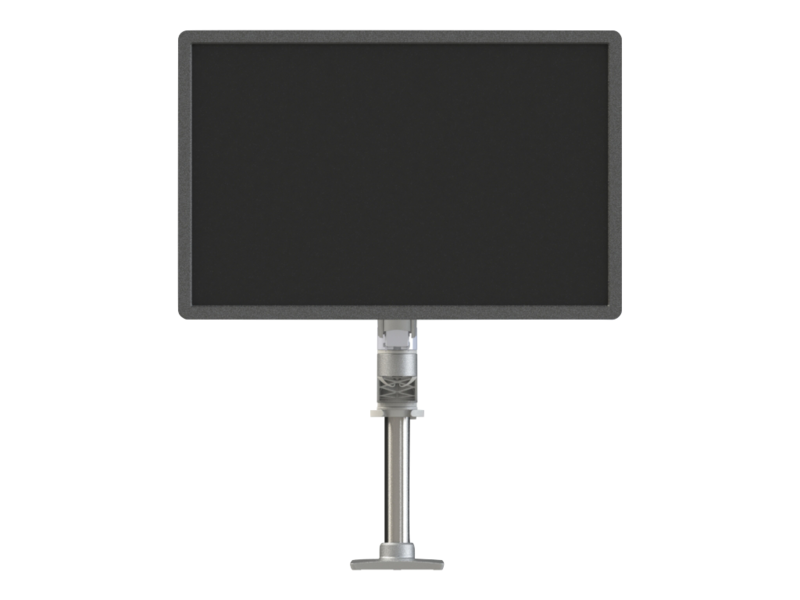 VESA is the ubiquitous, nearly universally accepted standard for mounting monitors to monitor arms (or flat panel TVs to walls, or any number of other applications). 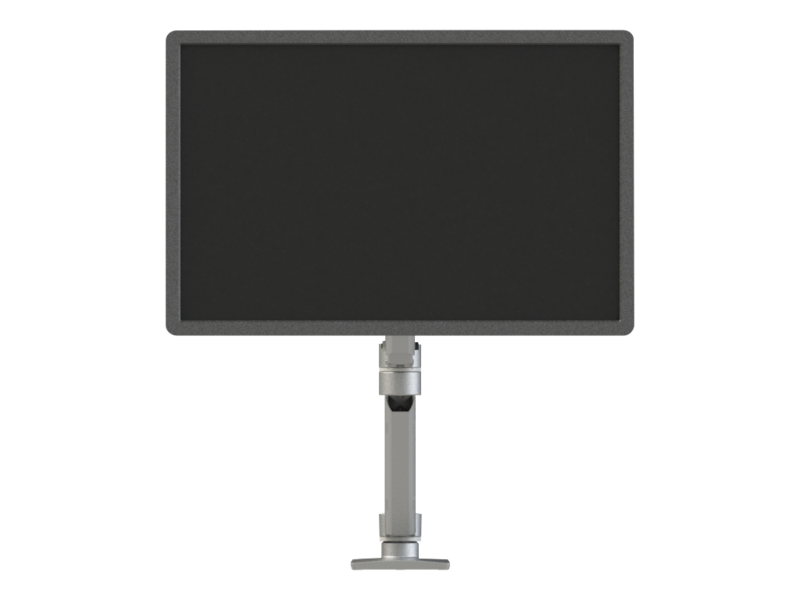 Almost all monitors that can be mounted are VESA-compatible, but you may want to double check (especially if you’re using an older model). VESA stands for Video Electronics Standards Association. 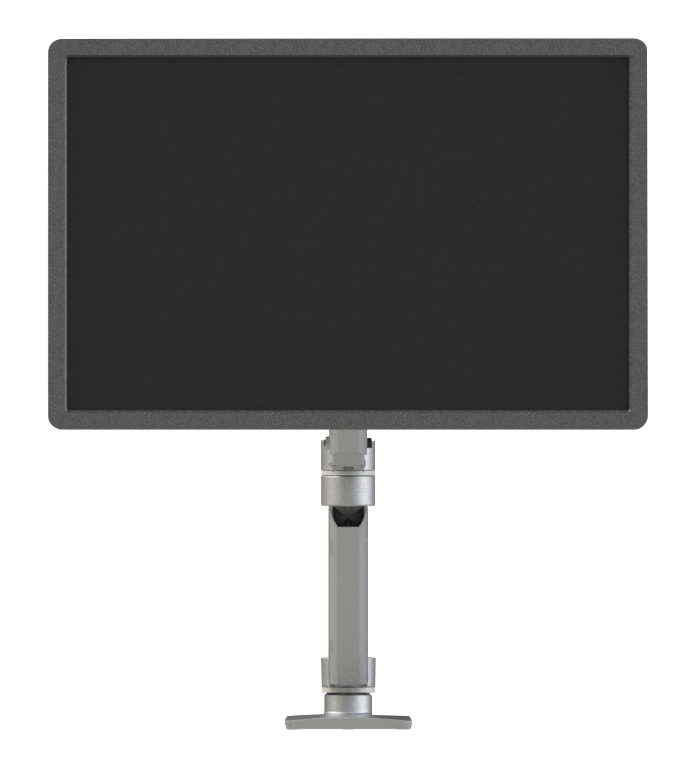 Some monitor arms that may appear at first glance to not have a VESA mount option either have a removable panel or an after-market option for attaching one, e.g. Apple iMac computers. 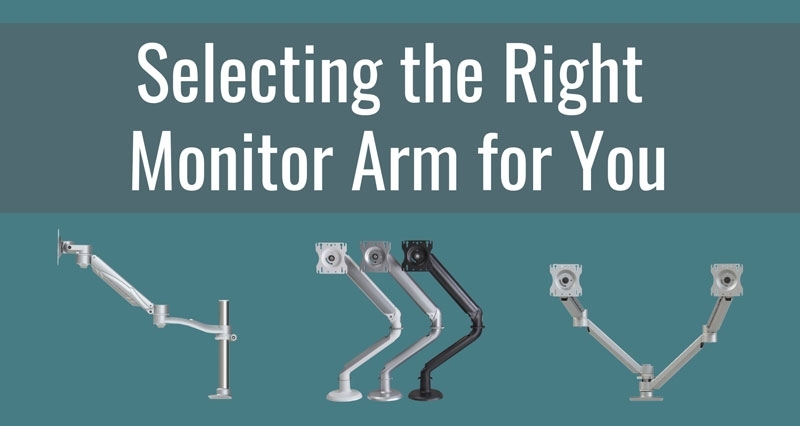 To find out for sure look up your monitor arm model online, or contact us and we can verify this for you. VESA Plate on Monitor Arm pictured right. If A+B < C-D, then you can use the monitor arm without having to look down. (Even if you exceed this limit by a couple of inches, you should be ok—and you’ll certainly be better off with a monitor arm than without one). This formula works for standing desk converters as well; you’d just have to use the height of your converter for D.
If you don’t have a standing desk or converter yet, then you can estimate using the height of your elbows, which are generally going to be at the same height as your standing desk would be (assuming you’re not using an under-desk keyboard tray or a built-in SteadyType keyboard tray).